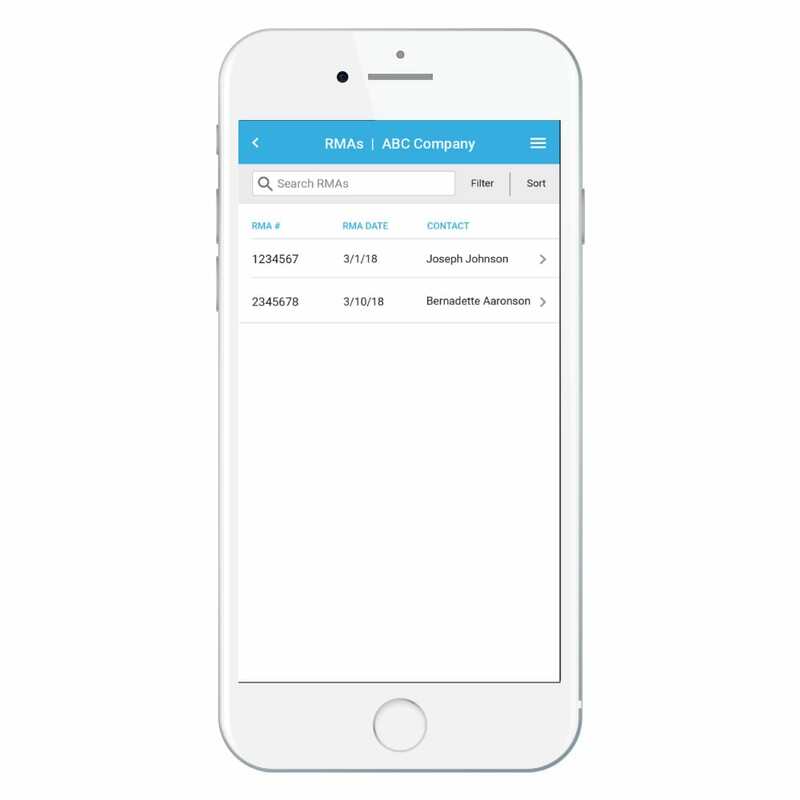 Bezlio is an app that you can install onto any iOS or Android mobile device that gives your mobile sales teams mobile access to your ERP and CRM data. 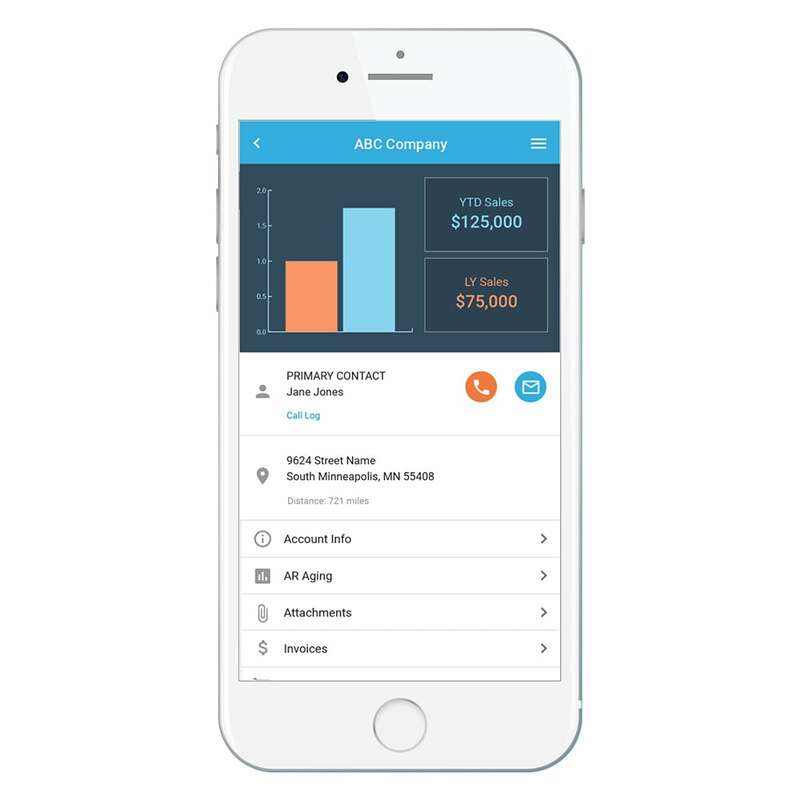 Connect to any existing CRM system and provide mobile access to all of the data that mobile field sales teams need. Customer overview with sales metrics, quick contact shortcuts, mapping, and links to key information. 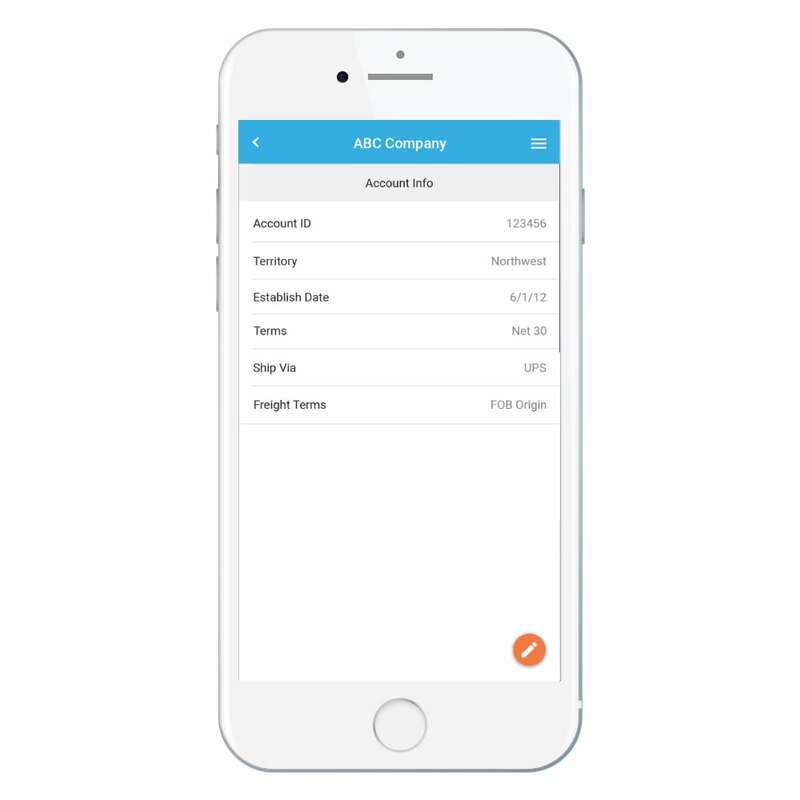 Quick access to customer account information, payment terms, shipping preferences and more. Real-time access to your customer’s current AR aging totals, broken out by time. Central location for files and attachments related to your customers. Eliminate out-of-date documentation. View customer's invoices and drill down to see payment status, details, and line items including part #, quantity and pricing. Real-time access to your customer's order records with drill-down to see line items, pricing, quantity shipped and more. Give your sales team immediate access to the top parts your customer has purchased and the revenue it generated. Make sure nothing is missed by assigning customer tasks for specific members of your sales team. Use our no-code development platform to link to any of your data and build whatever functionality that you need. Bezlio allows you to easily extend and customize your mobile experience with any data and additional features relevant to you and your business. 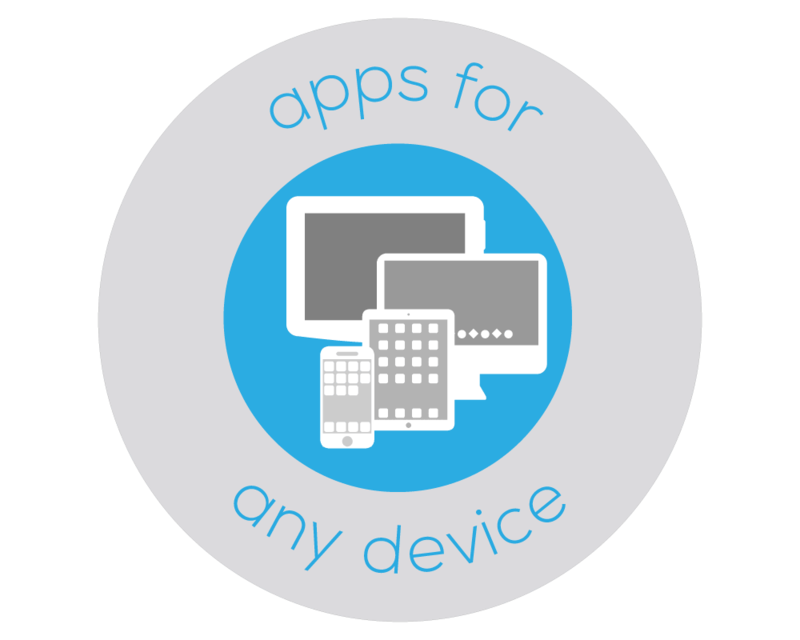 Bezlio’s no-code/low-code mobile development features allow you to connect to any data source and display that data in any way you can imagine. Untether your sales team and get them on the road by giving them access to your CRM and any customer data you want to share, right from their own mobile device. Bezlio provides real-time data access to any on-premise or cloud system, ensuring that your field sales teams are armed with everything they need to close the sale. Bezlio’s ability to communicate both ways with your data means that your team can immediately react to your customer's needs before your competitors can. React quickly to your sales team’s needs by customizing your view utilizing our no-code platform. Changes can be pushed to your team instantly. Bezlio can provide off-line access, allowing your sales team to access your data, no matter if they have cellular access, wi-fi, or no internet access at all. Alert your sales team to important customer events, exceptions, changes, or critical trends through mobile push notifications. Connect information from all of your best-of-breed applications into one concise dashboard for your sales team. Bring together data from any source and publish it right into the hands of your mobile users. We want to help to get all of your questions answered. Let’s show you how Bezlio can work for your sales team. We are here to make your sales team successful.